Stenosing tenosynovitis, more commonly known as “trigger finger” or “trigger thumb”, is a common condition affecting the tendons that bend the fingers. This can result in pain, catching, or popping/clicking sensation of the finger as you try to open it from a closed fist. Trigger fingers are caused by swelling of the tendons that bend the finger. During normal motion, the swollen portion of the tendon can get caught between the "pulleys" that guide normal motion, causing pain and catching. The tendons that bend the fingers pass through a series of loops, called “pulleys”, like a belt passing through loops on a pair of pants. If the tendon (or belt) swells, or if the pulleys (or belt loops) tighten, the tendon can get caught which limits smooth motion of the finger. The cause of trigger fingers is oftentimes unknown, but they are more common in people with certain medical conditions, such diabetes and rheumatoid arthritis. Oftentimes, it is related to a recent period of overuse, or minor injuries to the tendon, such as a pull or a stretch to the finger. Sometimes, the cause is simply “bad luck”. To read more about trigger fingers, click here. 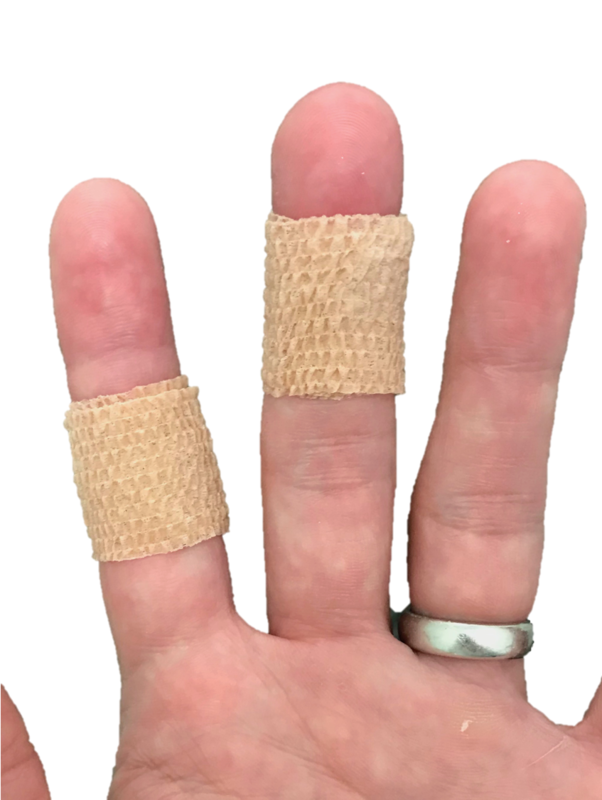 Splinting - wearing a splint, or placing Coban tape or a Band-Aid around the finger joint creases will limit motion and clicking. This can be helpful for painful nighttime triggering. During the daytime, this may affect normal use of the hand. Anti-inflammatories - medications such as ibuprofen (Advil) or naproxen (Aleve) can help with pain and swelling of the finger. Sometimes a topical NSAID such as diclofenac gel will be prescribed. Activity modification - avoid the activities that cause the clicking sensation and pain. More clicking can lead to more inflammation and swelling of the tendon. Steroid injection - the most effective non-surgical way of permanently getting rid of a trigger finger. A cortisone injection bathes the tendon in a strong anti-inflammatory fluid. This shrinks the inflamed tendon, and can restore normal gliding of the tendon. If non-surgical treatment fails, the pulley can be released (or belt loop clipped), which results in smooth and unhindered gliding of the tendon. This is an extremely effective way of getting rid of a trigger finger. It is a quick, outpatient procedure, done through a ~1 cm incision. Absorbable sutures are placed underneath the skin, and Dermabond (medical grade "Super Glue") is used to seal the incision. A bandage is placed which remains in place for 3 days. The hand can be used for normal light activities immediately, and you can get the incision wet once the bandage is removed. More demanding activities (e.g. lifting weights, gardening, manual labor) should be avoided until the skin heals (~10 days). Almost universally, the catching and popping sensation is immediately eliminated. Sometimes temporary stiffness of the finger may be present, this improves as the swelling subsides.